As I've said before, it is great that cookery is back on the UK school curriculum. 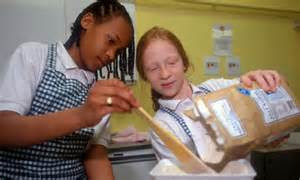 However very few of the Design Technology (DT) teachers who are expected to deliver the cookery curriculum can cook themselves and would prefer a subject content that focuses purely on food and nutrition. Last year my wife attended a teacher training course on the new GCSE Food course, in Stroud in Gloucestershire and 60% of the teachers present did not know how to portion a chicken and 75% of the teachers,when asked to cook spinach, boiled a saucepan of hot water. 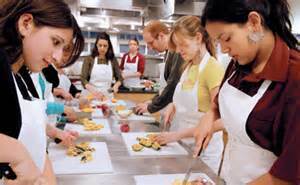 It was just these teachers that lobbied for the removal of 'cooking' from the title of the new course. My 12 year old grandson has just started Secondary School and this term has been 'experiencing' this new cookery aspect of the school curriculum. I say 'experiencing' because frankly he knows more than his teacher about food and about preparing and cooking food. He has made 'pizza' twice this term - in reality it was cheese and tomato on a bought bread roll. They didn't even make a pizza base by rolling out dough! He consequently returns home on a Tuesday evenings complaining about his teachers inability to excite or motivate his passion for food and his interest in cooking. 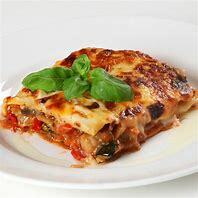 He is a bit of foodie, and thought he would test out his teacher's food knowledge, so he asked her what 'nage' was, one of his favourite dishes. She took a week to think about it before describing it to him as a sausage casserole. 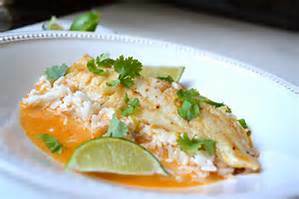 He smiled and thanked her, knowing it was a broth of poached seafood (below). The new food curriculum has many cooking skills which DT teachers feel are too difficult - filleting chicken and fish, making choux pastry, roasting, braising and making sauces and pasta et.al. 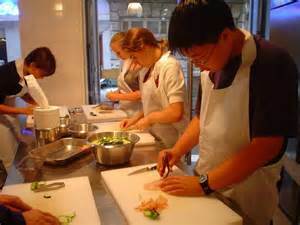 These Food Technology teachers need to get their cooking skills up to scratch if they are to best serve their pupils. So it is with relief, that I see the Government is funding a series of courses for what they call, 'Non-Specialist Food Teachers'. The programme of training claims to be based on face to face interactive sessions with a wide range of practical skills being covered, but ensuring how to deliver these appropriately to students. They aim to build delegates self-esteem and competency in practical application through providing practical skills training and guided learning...bringing the Wow factor into the classroom! Hurray for 'Wow', I say!! Practical ''hands on experience'' making sauces: handling raw meat and fish: rubbing in method and bread making with a focus on higher level skills and one hour lessons. This is followed by days on Nutrition and Food Science on Monday 8th February 2016 and Friday 13th May 2016. There will also be a similar course in Hertfordshire on Friday 11th December 2015 with follow-up days on Monday 8th February 2016, Wednesday 3rd February 2016 and Wednesday 4th May 2016. If you miss this, there is a catch-up Summer School at the University of East London on 23rd June, 24th June, 12th July and 13 July 2016. At last, some recognition of what I have been saying for months, food teachers need cookery training if they are to best serve their pupils and satisfy the demands of the national curriculum!